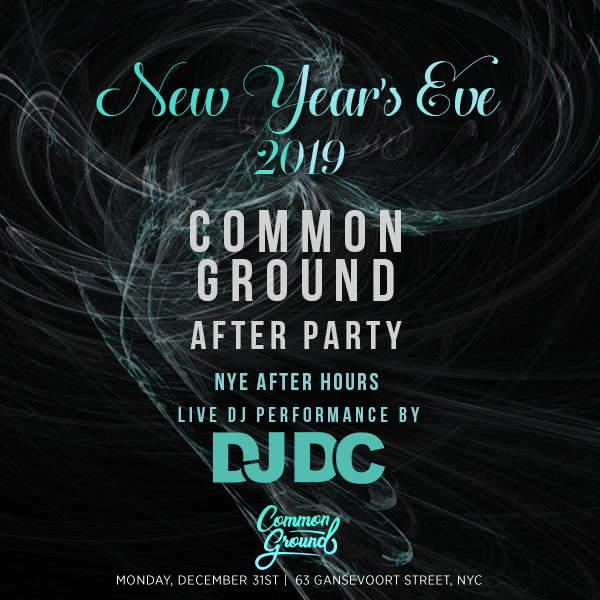 When the ball has dropped and the confetti has settled, don't call it a night just yet — make your way to Common Ground for their epic New Year's Eve After-Party. This club is a hot spot for New Yorkers and celebrities, and they'll be lifting the velvet ropes for you post-New Year's Eve. Join the in-crowd at Common Ground, and keep the party rockin' well into the New Year. When the clock strikes midnight, make your way to Common Ground if you're not already there to start the year off right. Enjoy an hour of open bar deliciousness, where mixologists will craft you cocktails from your favorite spirits. Bask in the dynamic energy of the club from the bleacher-style seating along the dance floor, then bust a move as a live DJ pumps the latest hip hop, house, and Top 40 hits for your dancing pleasure. Located in the thriving Meatpacking District, Common Ground is frequented by celebrity clients like Drake, Cardi B, and supermodel Cara Delevingne. The interior decor of hanging lanterns and exposed brick walls make for a modern speakeasy aesthetic. Plush blue velvet seating accents the gorgeous skylight above the dance floor, surrounded by reclaimed wood and draping vines. With its modern design and exclusive guest list, it should come as no surprise that Common Ground is host to the season's most exclusive NYE after-party. Come see why New York is the city that never sleeps at Common Ground. Grab your tickets now to ensure your night of revelry doesn't end at midnight.